Hey, thanks again for submitting this to Climate Jam 2018. We are submitting a journal paper describing a number of the games. Would it be okay if we included a screenshot of Climate Cards along side a link to here? Hey, thanks again for submitting this to Climate Jam 2018. We are submitting a journal paper describing a number of the games. Would it be okay if we included a screenshot of Isorropia along side a link to here? itch.io Community » General » General Discussion · Created a new topic #notGDC but celebrating our small studio's 2nd birthday! In 2016 I uploaded this weird game, Intelligent Design: An Evolutionary Sandbox, I was working on as a way to learn Unity3D to itch. The community was welcoming and gave me loads of feedback and advice. Eventually someone said to me 'Why don't you put that on steam greenlight?' I did and Pill Bug was born. The months following were a rush, loads of people played the game, I learnt some hard lessons about trying to sell things and manage communities... but I made enough to support a second game. Our second game was a small shooter heavily inspired by asteroids and Luftrausers called Cycle 28. Again we released it first on itchio to get early feedback and ideas on how to move the game forward. At this time Dave (a writer by trade) joined Pill Bug so we focused on making this tight arcade game into a narrative experience - something people don't expect. People really like the game and it's something we are really proud of, we even managed to release it on Nintendo Switch™! Anyway, that's enough of me feeling nostalgic and reflective. Itchio has been so helpful to us as a small studio, it's allowed us to create games, those games have generated income which has supported artists, composers, accountants and graphic designers who are all living their dream - none of this would have been possible without itch. 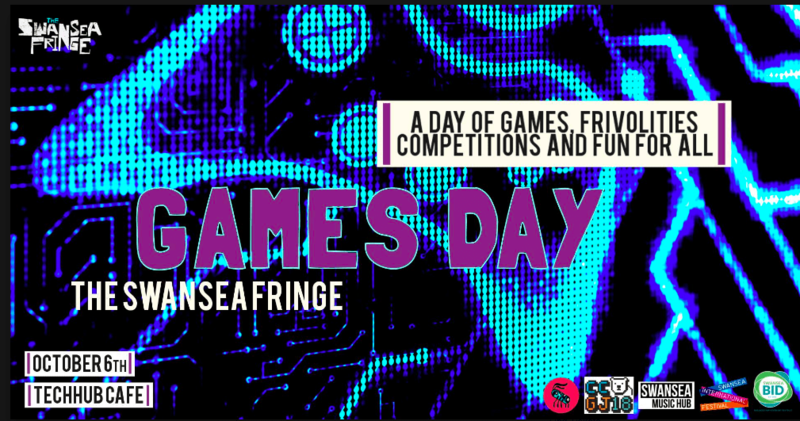 We have been invited to present some of the entries to Climate Jam 2018 at the Swansea Fringe #Games Day. If anyone is local to Swansea and would like to come along to show your game get in touch with us on discord. From me and the entire Climate Jam team I wanted to say a big thank-you and congratulations to everyone who entered a game into the jam. There were lots of great ideas and it was really interesting to see the different approaches you all took to communicating climate change. The winners of the prize draw have been selected from those of you who completed both surveys. That is currently with our finance team and the winners will be notified soon, I'll post a reply to this thread when that happens. We shall also be getting in touch with some of you via your itchio email addresses in the coming weeks to discuss the possibility of applying for further funding to expand your ideas. Most of you should have had this sent in an email, but just in case here are the details for the second half of the survey. Now that Climate Jam 18 has finished we just wanted to send a further email to say thank-you for your hard work and enthusiasm. We really have been blown away by the games submitted and all of the effort you have put in. We are currently busy playing and judging the games – it’s been so much fun! The post-jam survey is shorter than the first (it should only take about 10-15 minutes max) and we would be incredibly grateful if you could take the time to complete it. The survey will remain open for a couple of weeks and once closed, the prize draw will take place. We will then contact the winning recipients via email – Good Luck Everyone! We will also send a reminder email to you all about the post jam survey when we near the end of the survey collection window. Be sure to share any more lets plays you find! Glad you enjoyed it and thanks for submitting a game. The voting time is a long because we want to get climate scientists involved. Being August many are on holiday either at the start or end of the month, and we want to give them all a chance to vote. I've asked Dave who is our climate expert, he will get back to you soon! Climate Jam 2018 community · Replied to Caleb Winston in Random winners? The prizes for filling out the survey are separate from the game jam judging process. Everyone's contribution to the survey are equally important, therefore as an incentive to get everyone to contribute, the survey prizes are a lottery. The winner(s) of the game jam itself will be offered support to apply for science outreach funding. The deadline is on the jam page, keep an eye on the time left timer to be sure when the deadline is in your time zone. There is no limit on the number of games you submit or which platform you should aim for. Web browser and computer would be easier for us to judge but we find devices if we need to. Climate Jam 2018 community · Posted in Random winners? (2) We want to try and understand people’s perceptions and attitudes about climate change. To achieve (1) we have set up some judging criteria and the games will be judged to select some winners. To achieve (2) we have designed some surveys for people to answer. To encourage more people to take part we have set aside some budget for a prize draw, for that we are picking three people (who filled out all the surveys and made a game) at random to get these prizes. I hope that makes things a bit clearer, the winners of the jam aren't going to be picked at random, but the winners of the prize draw will be. It's quite common to have prize draws for these kinds of surveys. Yeah sure, if we can play for free it's okay. You're not being fussy, it's a super good point. Engagement makes much more sense! Looking forward to seeing your idea take shape. itch.io Community » Game Development » Release Announcements · Created a new topic Cycle 28: A fast-paced space shooter with screen-shaking explosions and a mystery at its heart flies out of early access today! Cycle 28 is now available on itch for $4.49/£3.59/€4.49 (which is 10% off for this week). Cycle 28 is a momentum-based space shooter with screen-shaking explosions and a mystery at its heart. First you think it's an arcade game: simple controls, powerful upgrades, and intense dogfights. But you’re stuck living the same day over and over, trying to find out who the enemy are, and what they want. To find out where the idea of Cycle 28 came from check out our latest devlog. I'm uploading a lets play now, will post when done. Can you guys email my swansea email address with all your student numbers? This is really good Jack. You picked something which was achievable during a gamejam. The mechanics are clever and have great potential. I like that there was lots of interesting player choice. As with all alpha games - work on the tutorial! I'm uploading a LP video now. This was quite ambitious for your first game. First person games are very tricky! The potential of the idea is good, if you continue working on it I would try and get written permission to use that music - technically you are breaking the law. Please keep making games, keep making small games, you'll get better each game you make. You can only get a steam key if you bought it on itch or claimed an itch key and linked it to your account. It sounds like there is a device on your computer giving constant axis input. Whenever people have had this before it's been something random like an audio mixer. Intelligent Design: An Evolutionary Sandbox community · Posted in Will plants be self-sufficient/self perpetuating? I'm currently waiting for my business bank account to open and once that's done I'll be able to sign up for a developers account on steam. Once that is done I can start adding steam specific features to the game, like achievements. I talk a bit about my thoughts on achievement design in this blog give it a read and if you have any ideas you would like to share post them here! I talk about it a bit here (https://steamcommunity.com/sharedfiles/filedetails...) sorry for formatting on mobile. Starting a company is taking longer than expected, i don't want to release around a steam sale so currently I'm aiming for a May release. The game is pretty much done, just need to add steam features which i can't do before my company is established. Then most of the work is marketing related - trailers, screenshots, logos, press releases etc. Intelligent Design: An Evolutionary Sandbox community · Replied to dragonfyre13 in What are you System Specifications? Thanks for the data and kind comments. Early reviews are going to make or break steam success so thanks! Intelligent Design: An Evolutionary Sandbox community · Replied to notpod in What are you System Specifications? Intelligent Design: An Evolutionary Sandbox community · Created a new topic What are you System Specifications? As I am preparing to form a company to sell Intelligent Design I'm realising this is going to start costing me a bit of money. For that reason I'm stopping giving away the game for free. I genuinely think the game I've made is worth paying for with the improvements I've made over the past few months, the free version was devaluing it I think. I want to make sure people who don't have a PC powerful enough won't waste their money, so I need a realistic minimum system specification. At the moment I've just put my system spec because I know the performance is fine on my system. However I'm sure it will run on lower spec than mine. If you guys could help me with an idea of what systems you run I'd really appreciate it. If it seems better with a 360 controller plugged in it might support the idea that a random device is being detected as an axis. Have you tried customising the controls? I would remove everything and build them from scratch.